On Tuesday, as one of the final acts of Enda Kenny’s Cabinet, the Attorney General was nominated to fill a vacancy on the Court of Appeal. This, of itself, is not overtly controversial (although note the Whelehan affair in 1994). However there are factors regarding this appointment which should raise some eyebrows. First, while Máire Whelan seems to be well-regarded in legal circles, from a political perspective, there has been much criticism of her actions as Attorney General, the most serious of which centred around her behaviour on the events which led to the Report of the Fennelly Commission. What is most worrying about this appointment however, is the lack of transparency surrounding it. The Judicial Appointments Advisory Board, which has the responsibility of advertising for vacancies and recommending candidates to the Government, apparently reported that it could not recommend a single name for the vacancy. This is highly surprising. 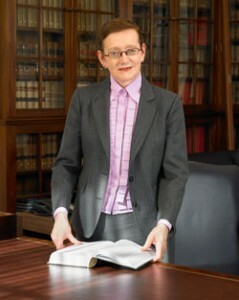 Although as Ken Murphy, director general of the Law Society, has pointed out, appointment to judicial office does not have the same allure as in years gone by and perhaps due to the reduction in salary, the nonsensical pension requirements and the general reduction in prestige, many eminent lawyers may simply have decided they are better off where they are. However, the most worrying aspect of this whole affair is the story reported by Conor Gallagher in the Irish Times, that at least three High Court judges had applied for the position. In order to understand why this is problematic it is necessary to understand how the judicial appointments system works. The workings of the JAAB are outlined in a previous post here and the origins of the body are set out here. One issue which has always been conspicuous is the lack of any input from the JAAB when the vacancy is the presidency of a Court or if the vacancy is filled by the promotion of a lower judge by the Government. Presumably this is part of the unreasonable fear which has manifested itself in numerous different ways that the JAAB will somehow trespass on judicial independence or even on the Government’s constitutional power of appointment. Instead, the Government makes this appointment, with the advice of the Attorney General. In fact, according to a report by the Judiciary, in October 2013, the Chief Justice wrote to all members of the Judiciary regarding elevation to higher courts and senior judicial appointments. She advised judges that if any serving judge wished to express an interest in another judicial position such as elevation to a higher Court, or appointment as President of a Court when a vacancy arises, then expressions of interest should be made in writing by way of letter to the Attorney General. Herein lies the major problem. The person to whom judges are to apply for an appointment, has herself been appointed and we have been given no information on how this whole process operated. This is very worrying. While it may be the case that Máire Whelan was the most suitable candidate for the position, a process such as this where everything is shrouded in secrecy serves only to damage public confidence in whole system. In 1994, the controversy surrounding the appointment of the Attorney General to the position of the President of the High Court brought down the Government, and while the current situation is unlikely to cause such repercussions, it does raise some serious questions about favouritism and cronyism in the appointments process and it underlines the need for action on judicial appointments reform. The Judicial Appointments Commission Bill, which has been a pet project of the Minister for Transport Shane Ross, was finally published two weeks ago. It is difficult to know whether the recent Cabinet reshuffle and change in the Ministry for Justice will have any effect on the progress of this Bill. The Bill itself is quite detailed and while there may be further details yet to be worked out as it makes its way through the Houses of the Oireachtas, it is a massive improvement on the system which currently exists and is generally to be welcomed. The main features of the Bill include a new Judicial Appointments Commission of 13 members, of whom 7 will be laypersons, including the chairperson. Following a selection procedure (which is not specified but the Bill states that the Committee may ‘do such other things as it considers necessary … in relation to selecting persons), the JAC will recommend 3 persons to the Minister for any judicial vacancy. Much of the rest of the Bill is concerned with the formation of the JAC itself and the establishment of an office etc and in general, the procedures are left to be decided by the JAC once it is established. It is disappointing that the Bill did not go further in specifying selection processes such as interviews or role plays, as happens in England and Wales for judicial appointments. Also, while certain changes are made to the eligibility requirements such as the addition of legal academics with 4 years practice experience, the opportunity is not taken to amend the vague eligbility criteria already in existence to the effect that a candidate must be ‘suitable on grounds of character and temperament’. However, it is a positive sign that section 7 recognises the compatibility of merit with diversity in judicial appointments. One significant point which is relevant to the current controversy is the issue of the status of the recommendation made by the JAC to the Government. Section 48 of the proposed Bill states that ‘In advising the President in relation to the appointment of a person to a judicial office the Government shall firstly consider for appointment those persons whose names have been recommended to the Minister.’ It does not state what would happen should the Government refuse to nominate one of the recommended names but Section 50 does provide that the appointment to judicial office will be published in Iris Oifigiúil and the notice must include a statement that the name of the person was a recommended name (if that has been the case). Section 51 also requires the Minister to lay before the Oireachtas at the end of each year, a statement containing details on the appointments made in that year including their experience and whether or not they were recommended by the JAC. In other jurisdictions, there is a requirement that if the Government refuses to accept the recommendation of a nominating body that it must publish stated reasons for doing so. It appears that these sections are a light version of this requirement but it certainly adds to the transparency of the system and makes it more awkward for the Government to depart from the recommendations. However, the bottom line is that under the current system, and even under the system which would be created by the proposed Bill, the Government retains discretion to appoint a candidate of its choice since that role is given to it by the Constitution and an amendment would be needed in order to reduce the influence of the Government in the judicial appointments process. However, while it would be difficult to challenge the current appointment in law, serious questions need to be answered, particularly regarding the High Court Judges who may have applied for the position and the circumstances regarding Máire Whelan’s involvement in the whole affair. Yesterday’s Supreme Court ruling in NVH v Minister for Justice and Equality ( IESC 35) is a landmark case in several respects. A unanimous seven judge Supreme Court held that the complete ban on asylum seekers working while awaiting determination of asylum claims was “in principle” unconstitutional. It was, the Court held, an excessive violation of the unenumerated right to seek employment, found in Article 40.3 of the Irish Constitution. The judgment is significant for the rights of non-citizens and the right to seek employment, and will change the future of the Direct Provision system. In this post, however, I wish to focus on a curious element of the case: the remedy – or rather, lack of remedy – offered by the court. The Court declined to make any order at this stage, instead proposing to revisit the issue in six months. This raises the possibility that the Supreme Court has quietly moved to introduce a new form of constitutional remedy: a suspended declaration of invalidity. NVH arrived in the State from Burma in July 2008 and sought refugee status. His application was on two occasions refused, but the refusal was quashed and the process began again. For many years, while awaiting final determination of his claim, he resided in a Direct Provision facility in County Monaghan, receiving his allowance of €19 per week. In 2013, he was offered employment in the Direct Provision facility. However, s 9(4) of the Refugee Act 1996 provided that asylum seekers could not seek or enter employment before their application was finally determined. (This section has been largely repealed, but was replaced by an almost identical provision in the International Protection Act 2015). NVH applied to the Minister for permission to take up this employment, but the Minister refused, saying that the Act prohibited it and the Minister had no power to permit it. NVH challenged the Minister’s decision on various grounds, including a claim that the statutory ban violated his constitutional rights. He was unsuccessful in the High Court and in the Court of Appeal (Hogan J dissenting). The Supreme Court granted leave to appeal. O’Donnell J for a unanimous Supreme Court held that the right to seek work (rather than an affirmative right to employment) was a constitutionally protected right and was clearly infringed by this statute. The Court further held that although distinctions may be made between citizens and non-citizens in respect of rights, non-citizens should be entitled to rely on those rights that “relate to their status as human persons”. Distinctions between citizens and non-citizens in respect of such rights could only be made if “such differentiation is justified by that difference in status” between citizens and non-citizens. While acknowledging the State’s entitlement to restrict the right to seek employment in respect of non-citizens and asylum seekers, and the particular expertise of the legislative and executive branches in this area, O’Donnell J held that the absolute ban imposed by the statute went too far. Without any time limit on the employment restriction (or indeed on the asylum process itself), or any ability to allow for exceptions, the section “does not merely limit the right severely: it removes it altogether”. The Supreme Court held that it if a right was in principle available to non-citizens, it was not permissible “to remove the right for all time from asylum seekers”. The absolute ban therefore violated the constitutional rights of asylum seekers. Here, the Court declined to make an immediate ruling about the constitutionality of the statute, but instead deferred such a ruling while encouraging a legislative response that would resolve the issue. The Court found a constitutional problem in a law, but did not invalidate it. This is unusual; it has rarely if ever been done by the Irish courts. It seems to be something close to a suspended declaration of invalidity. Such a declaration holds that a law is invalid but suspends the declaration for a period of time to allow a legislative response. This allows the legislature, if it so chooses, to pass a new, constitutional law to fill the gap that will be created by the invalidity. These declarations have not been formally embraced in Ireland, but they are common elsewhere; they are the perhaps now the primary constitutional remedy in Canada. The remedy was recently used by the Supreme Court of Canada to suspend the invalidation of the prohibition on assisted suicide to allow the legislature to formulate a liberalised, constitutionally-compliant provision. There is a great deal to be said in favour of such remedies. They avoid the problems that result from immediate and total invalidations of statutes, which remains the primary constitutional remedy in Ireland. This can, of course, have far-reaching and problematic consequences, such as when the Court of Appeal judgment in Bederev v Ireland ( IECA 38) had the effect of legalising a variety of drugs, or when Moore v DPP ( IEHC 244) put various suspended sentences in question. Suspended declarations avoid these somewhat chaotic and uncertain situations. It also allows for a more considered response to constitutional problems; without such a deferral of consequences in NVH, a more rushed legislative response would likely have ensued. There is a related benefit of suspended declarations: where the consequence of invalidity are very serious, courts may be more willing to invalidate laws if they are empowered to suspend the effect. The reality is that, if the consequences of invalidation are sufficiently serious, and immediate invalidity is the only available remedy, courts will overlook constitutional problems to avoid them. Several esteemed judges have acknowledged this; Geoghegan J in A v Governor of Arbour Hill Prison ( 4 IR 88) noted there was “a grave danger” that judges “would be consciously or unconsciously affected by the consequences” of invalidity if they were too severe. Hogan J has said grave consequences “would inevitably impact on the practical willingness of the courts to make  a finding of unconstitutionality”, unless judges could summon a “quasi-Olympian air of detachment” from these consequences (FX v Central Mental Hospital  IEHC 272). Suspension of invalidity can sometimes allow the unconstitutionality to be acknowledged and addressed while minimising broader fallout that might otherwise make this option unthinkable. Finally, such declarations are said to allow a sort of dialogue between the legislature and the courts. Rather than simply invalidating a law and leaving the legislature to clean up the mess, the courts are inviting the legislature to rewrite the law in a manner that does not violate constitutional rights. This is sometimes said to lead to collaboration between the branches of government, rather than antagonism and conflict, as they work together to uphold the Constitution. However, this dialogue metaphor has perhaps been overstated; many have pointed out in the Canadian context that it is an odd, one-sided and somewhat passive aggressive dialogue that, even if somewhat more collaborative than the current Irish approach, is still not very collaborative. Suspended declarations have not been formally endorsed, though there has been some informal judicial endorsements and some similar approaches. In the A case, Denham J praised certain aspects of Canadian alternative remedies, including suspended declarations, as being “in aid of organised society”. Hogan J has articulated a similar point extrajudicially: since invalidity can have “unfair and sometimes even chaotic consequences … the very powerfulness of the remedy would distort the court’s willingness to protect the effectiveness of the right which it was called upon to enforce and uphold” (Gerard Hogan, “Declaration of Incompatibility, Inapplicability, and Invalidity: Rights, Remedies and the Aftermath” in Keirnan Bradley et al (eds) Of Courts and Constitutions: Liber Amicorum in Honour of Niall Fennelly (Hart, 2014)). Hogan J also did something similar to this sort of declaration when he delayed the release of some prisoners whose detention he found to be unlawful under Article 40.4. (See eg Kinsella v Governor of Mountjoy Prison ( IEHC 235). There has been academic support for this change as well. Eoin Carolan has argued in favour of suspended declarations of invalidity, citing favourably the analogy to Hogan J’s approach to certain Article 40.4 applications. I have also argued for suspended declarations, as well as some other alternative remedies such as broader severance and double construction and as-applied constitutional challenges. Other remedial reforms are worth considering, but suspended declarations, in not demanding any legislative action nor altering the text or meaning of the law, raise fewer immediate concerns about interference with the legislative power. They are, therefore, more likely to find favour with the judiciary. For those who believe that suspended declarations of invalidity would be worthwhile, the Supreme Court’s approach in NVH seems like a significant step. However, there is reason to be cautious in our optimism, as it is not clear what precisely this development might mean. First, the Supreme Court did not grant a suspended declaration in this case; the Court did not declare a law to be invalid and suspend the effect. Instead, the Court found that the law violated constitutional rights, but deferred making an order invalidating the law, clearly in the hope that the legislature might, in the meantime, make such a declaration unnecessary. The Court did not use the language of suspended declarations or cite Canadian practice. While the effect of the Court’s approach is similar, but it is not clear that the Court has embraced this practice. Secondly, it is premature to infer a broader intention from this single instance. Indeed, NVH was not the first time courts have done something of this sort. In Blake v Attorney General ( IR 117), the Supreme Court invalidated rent control legislation, but instructed lower courts hearing subsequent cases to await new legislation before making orders that would affect existing tenants, essentially suspending the effect of the declaration. This judgment did not presage any broader change in court practice. This could be the case with NVH as well. Thirdly, this was an easy case to defer a declaration; it did not raise the most significant problem with suspended declarations: the denial of immediate remedy to the plaintiff. It so happened NVH did not need a remedy; shortly before the Supreme Court hearing, he was granted refugee status, so there was no longer any statutory impediment to him taking employment. The deferral of a decision on a declaration for six months, therefore, did not have the effect of denying NVH relief. This neatly avoided the problem that suspended declarations allow the unconstitutional law to persist, often to the detriment of the plaintiff as they await a legislative solution. Canadian courts have dealt with this by carving out exceptions from the law for the plaintiff, but Irish courts have expressed grave reluctance to do this (see Fleming v Ireland  IESC 19). The NVH case, because of its unique facts, did not raise these questions. Finally, the Court must have known that its proposed resolution of the case was something akin to a suspended declaration of invalidity. We might therefore infer that the Court chose not to adopt the language of suspended declarations, or to suggest a major departure in practice, for a reason. This might be because the Court does not intend any major departure, or because it wishes to await another occasion, where this is the subject of focussed argument, to consider a broader extension of the practice. As to that, only time will tell. At the very least, however, NVH seems to take the courts one step closer to embracing a major remedial developments. Dr David Kenny is Assistant Professor at the School of Law at Trinity College Dublin. 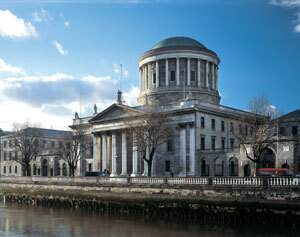 Tribunals in Ireland have a long and controversial history. Many felt that with the passing of the Commissions of Investigation Act 2004, we had seen the end of tribunals in Ireland. While the new legislation allows for lower costs and speedier resolutions to investigations, the major difference between this procedure and a traditional tribunal of inquiry is that the latter is usually held in public. Holding the inquiry in public has advantages; there is more scope for cross-examination of witnesses and generally the tribunal can make stronger findings. But holding hearings in public also means potential adverse consequences on a person’s right to a good name and so parties whose rights may be affected are generally accorded the right to legal representation. This is when the costs mount up. Despite the controversy surrounding tribunals, public scepticism on their effectiveness, and fears as to the potential costs involved, the Government decided to appoint a tribunal to investigate the circumstances surrounding the smear campaign against whistleblower Sergeant Maurice McCabe. Of course, the Government had little choice in the matter after the McCabe family stated that it would not support a secret investigation and called for a public inquiry. Thus in 2017, Ireland begins its thirty fourth tribunal of inquiry. The opening statement of the Disclosures Tribunal, as it has been officially called, was heard yesterday in Dublin Castle and already, Supreme Court Judge Mr Justice Peter Charleton, who is chairing the tribunal has set out a clear statement of intent. Charleton is well aware of the difficulties surrounding tribunals, having acted as Counsel at the Morris Tribunal, and it was apparent from his statement that he wishes to make a break with the past and conduct an efficient and effective inquiry. The most obvious novelty at the opening of the inquiry yesterday was the presence of cameras. The Department of Justice had issued a statement last week, at the request of the Judge, specifying that cameras would be permitted during the reading of the opening statement but that filming would have to be ‘limited to a fixed position at the back of the room’, silent, and that flashes were not permitted. 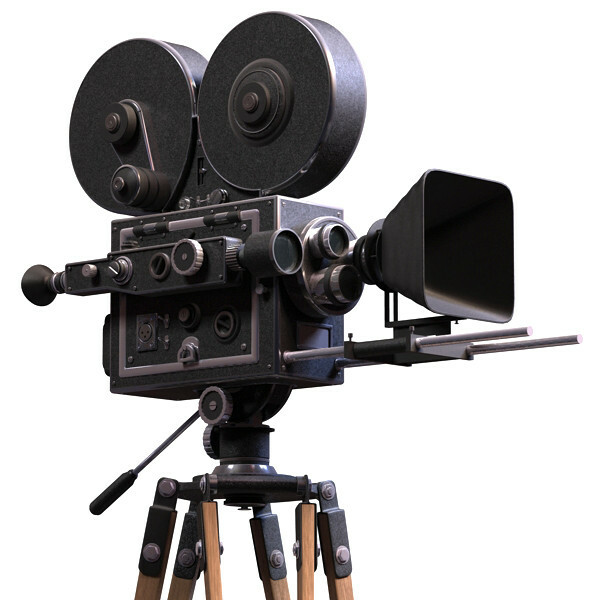 This was the first time television cameras had been allowed to film any proceedings of a tribunal and speculation is now rife that filming of witness statements and cross-examination may be permitted at a later date. Of course the question of televising court or tribunal proceedings is, of itself, controversial. I have written about this previously here but the fundamental danger involved is when proceedings turn into a spectacle with witnesses and barristers playing up for the entertainment of viewers. Others argue that there would be no point in televising legal proceedings as they are generally too tedious for the general public. Naturally, the other side of the argument is that the Constitution requires justice to be administered in public and while court proceedings are held in public, it is not possible for many people to access these, whereas television provides unlimited access. Indeed, over 20 years ago, the Law Reform Commission, in a report on contempt of Court, commented on televising court proceedings: ‘We recognise that there may be a significant public benefit to be gained from exposing the detailed workings of the administration of justice in the courts to everyone within reach of a television set, thereby lessening, as one would hope, the remoteness of court proceedings from the general public and the sense of alienation which many feel from that process.’ The same arguments all apply to televising proceedings of a tribunal; there are dangers involved but also significant advantages, particularly where the mission is one of finding and establishing the truth. There has been no indication as of yet from Charleton regarding any further filming of proceedings but even the decision to film the opening statement sends a message of intent, which was further bolstered by statements made by Charleton in his speech. In setting out how the Tribunal will go about its work, Charleton impressed with his clarity and determination. He stated that the basic touchstone is ‘fairness and balance’ and specified that ‘there are no pre-conceived notions in this tribunal as to who is a villain and who is a victim, if there are such’. He also pointed out that the Tribunal is ‘a drain on the resources of the Irish people’ and stressed that ‘[e]very lie told before this tribunal will be a waste of what ordinary men and women have paid for through their unremitting efforts. Every action of obfuscation, of diversion of focus, and of non-cooperation is unwelcome for that reason.’ He also intimated that he will not entertain obfuscation in the cross-examination of witnesses, calling for focus and examination on what is important. After setting out the terms of reference, along with his hope that the truth will be victorious, he called on anyone with information on the matter to come forward and cooperate with the tribunal. He made some interesting statements regarding legal representation which are relevant in the context of costs and delay – two traditional criticisms of tribunals of inquiry. 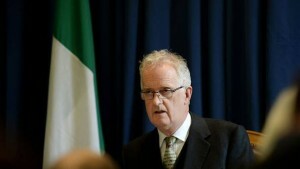 He noted that the entitlement to be represented ‘will be afforded to everyone whose reputation is in any reasonable sense likely to be adversely affected by the report of the tribunal’. This, of course, is no less than what is required by Constitutional justice and he also set out that represented persons will be entitled to other rights such as copies of the evidence and cross-examination etc, all of which have been well-established since the case of Re Haughey  IR 217. 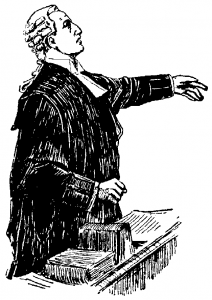 He also noted however, that legal representation should be ‘tailored with regard to the level of representation and as to attendance, based on how central the represented person is reasonably thought to be.’ Later in the statement he makes the point that he is entitled to disbelieve a witness or disagree with an expert opinion without those persons having representation and towards the end of the statement he explains that applications for representation are not to be made yet since it is still unclear whose reputation may be put in jeopardy. All of this seems to suggest that the right to representation, which is not absolute and only granted in certain circumstances, will be restricted to those for whom it is essential in order to uphold their right to a good name and parties who will not be affected will not be granted this right. Presumably, this is all in the attempt to secure a timely resolution and to keep costs down. In a further effort to offset delays to the inquiry, Charleton referenced the fact that the rights of parties to a tribunal are now well established as a result of a number of judicial review applications taken during previous tribunals. While acknowledging the right of access to the courts, he stressed that there should be no further need for judicial reviews and if anyone has a problem, they should apply to the tribunal. However, one issue which could potentially cause delay if taken further, is the question raised by Charleton in relation to journalistic privilege. In the statement, he asked whether there exists a journalistic privilege and whether it attaches to communications to a journalist where that communication by the source may not be in the public interest but, instead, where the source is ‘perhaps solely motivated by detraction or calumny’ or if the source was ‘using the media as an instrument of naked deceit’. He stated that the tribunal had ‘no settled view on the matter’ and would carefully consider submissions. He also pointed out that the existing law suggested that the privilege is that of the confidential informant and not the journalist, suggesting perhaps that this issue could be avoided if the informants were willing to come forward directly to the tribunal. Given the number of journalists who may have to appear before the Tribunal, it is very likely that a ruling will be necessary on this issue. Part of Charleton’s statement on the issue of privilege may also prove to be decisive for Commissioner Nóirín O’Sullivan, who has declined to comment on how she instructed her lawyers for the O’Higgins investigation. The Commissioner has relied on lawyer-client privilege in refusing to comment but as Charleton pointed out, it is the client who holds the privilege and therefore can waive that privilege. This suggests that the privilege will not be an appropriate stone to hide behind. Four years after journalist Michael Clifford wrote that the publication of the Mahon report had ended the era of tribunals (see here) we are faced with yet another such inquiry. However, the early indications are that this Tribunal may avoid some of the past problems. Mr Justice Charleton has been very clear that he intends to abide by the schedule given and produce a timely report. 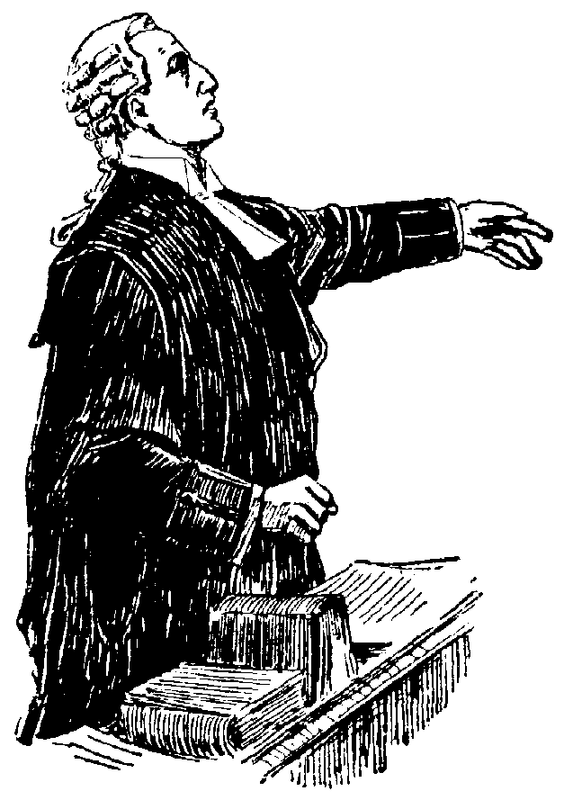 It remains to be seen whether the issues around privilege will cause delay but for the moment, the mood is optimistic and Charleton has set a positive tone; stressing that the purpose of the tribunal is to establish the truth, he recited an apt ancient Irish motto: ‘Glaine ár gcroí, neart ár ngéag, agus beart de réir ár mbriathar — purity of heart, strength, and adherence to our word. 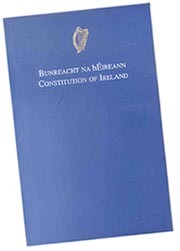 The following is a list of scholarship produced on the Irish Constitution during 2016. (It may not be comprehensive; please notify Conor O’Mahony of any omissions and they will be added.) The listing has been limited to publications focusing substantially on the Irish Constitution; publications by Irish scholars that do not contain any substantial reference to Irish constitutional law have been omitted.